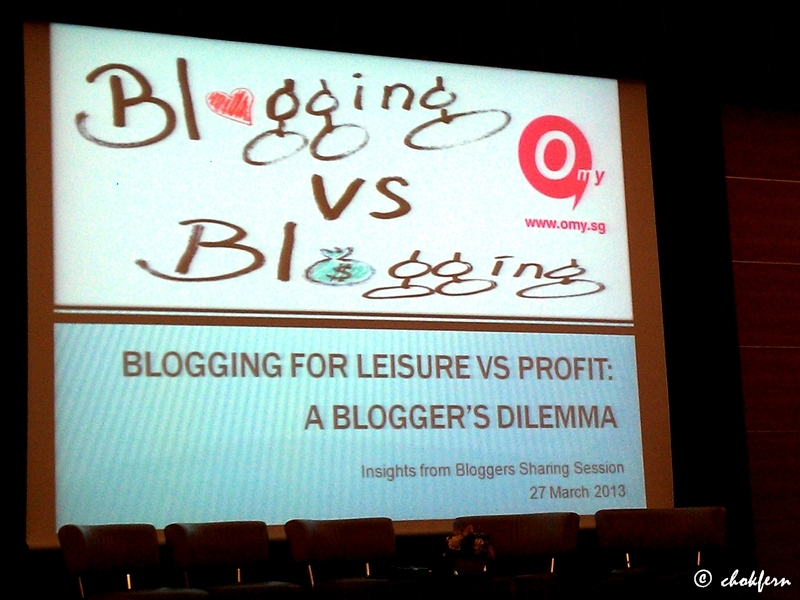 Got to attend the blogger sharing session: Blogging for Leisure VS Profit: A Blogger’s Dilemma – held by omy.sg. 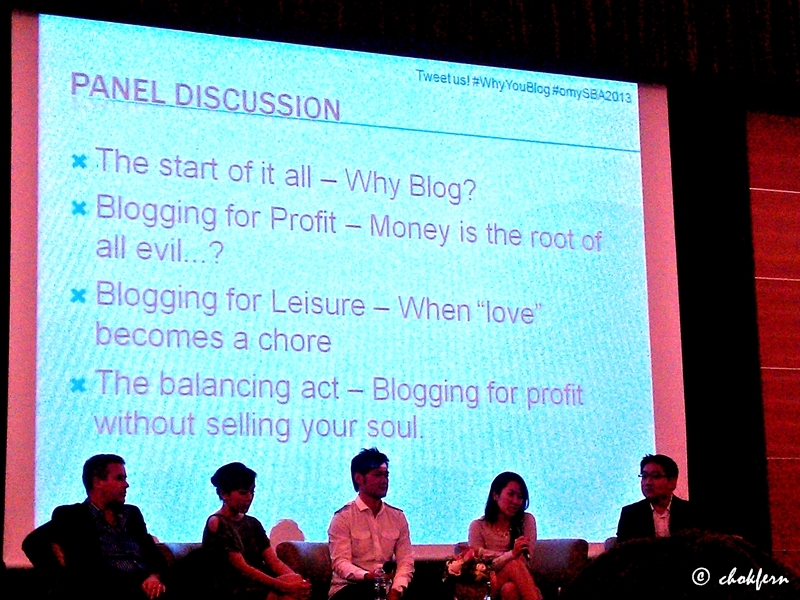 There are some insightful sharing from the panelists, on various topics, e.g. what are the attributes required for a profit-earning blogger, the investment required, and some dos and don’ts. 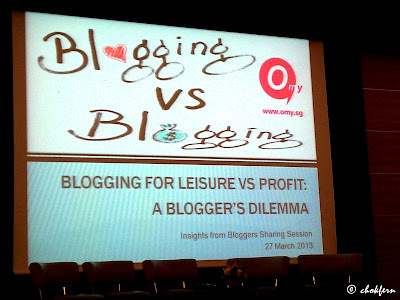 It’s interesting to hear stories of various bloggers – how they actually started their blog and how it progress to a profit-earning blog. 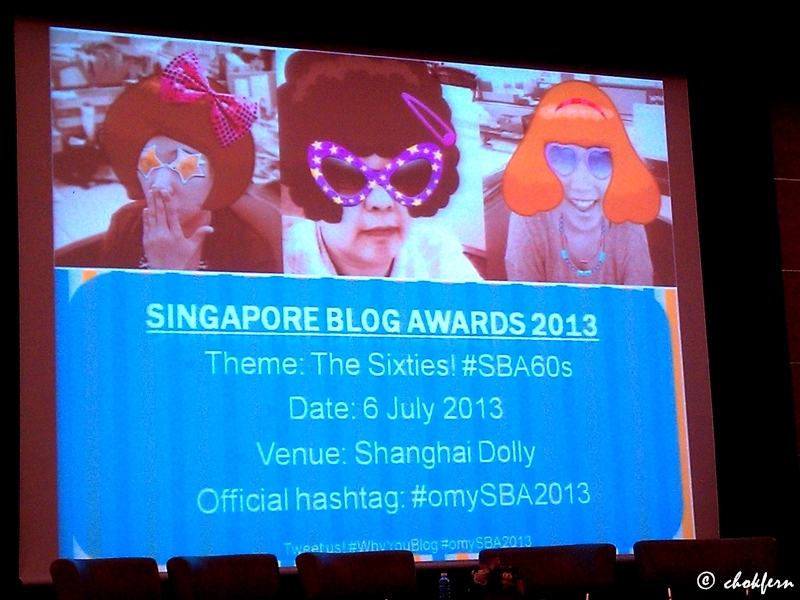 To get the latest updates, you might like to go to the official Singapore Blog Awards website.